Can you give me your thoughts on what this could be, please? My sister has a lump above her jawline. It's movable whether she clenches her jaw or not. She's 23 and our family has no history of cancer. What do you think it might be? She should go to a dentist and have them do an exam. It could be as simple as an infected tooth needing a root canal. Oh, I forgot to mention. It's inside of the skin and it's not visible unless you touch it. Did she find out what it was? Proper diagnosis and checkup will rule out possibilities of lump or any dieases. 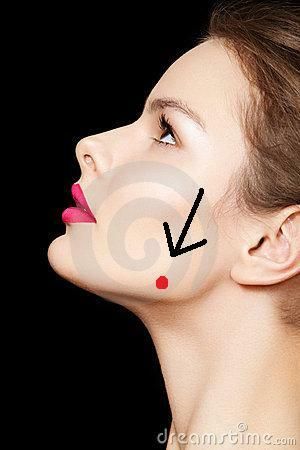 It's possibly a lipoma, which is a benign tumor. I've got a lot of them. Is this the only one she has? Check the date. She's either cured or dead by now. See doctor sooner, not later. » Can you give me your thoughts on what this could be, please?